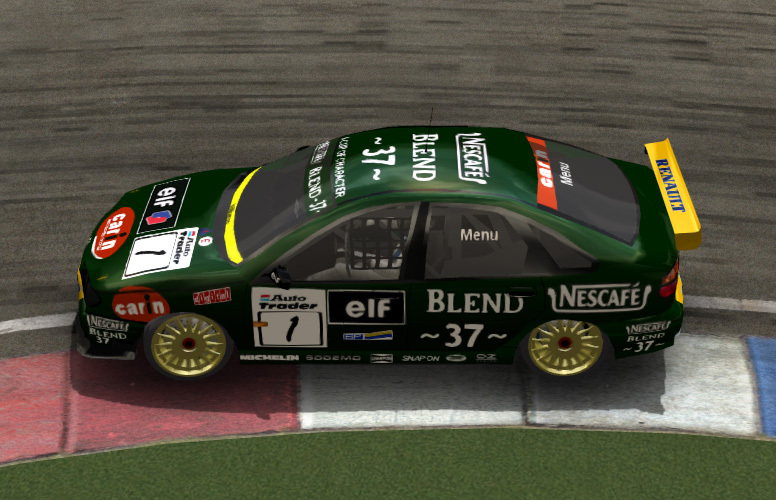 I am converting the 1998 Supertouring mod frm GTR2 for my own use, but cannot finish because the 'tyr file is Michelin_GT.tyr and I don't have it or anything comparable. Any suggestions? 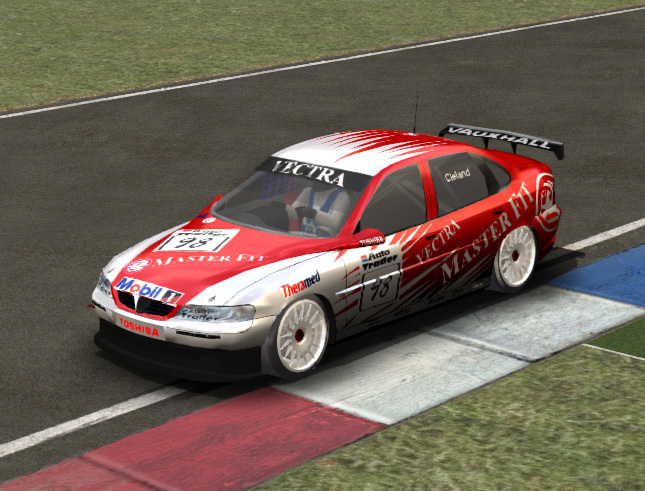 Think it comes with the forza lotus carlton over on trackaholics. Have you posted any of your cars yet for us to use. 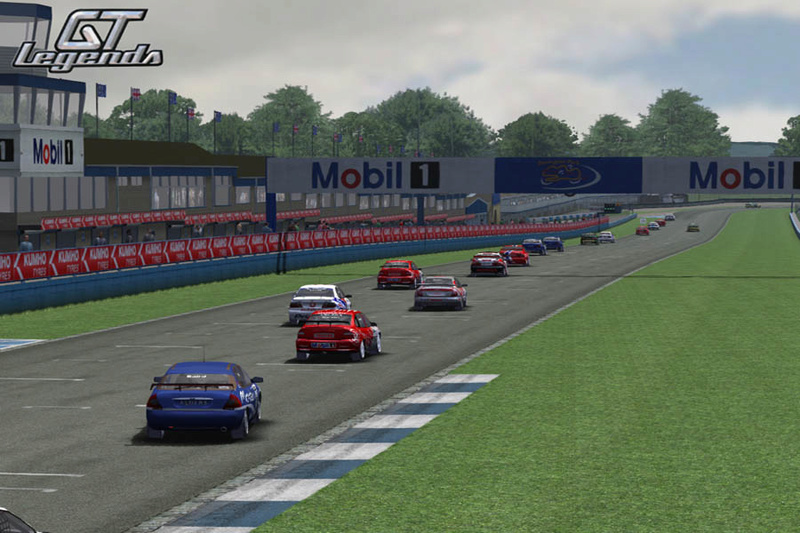 "I am converting the 1998 Supertouring mod frm GTR2 for my own use"
Be nice to have something back as you have picked everyone's brains on here ? I'm not sure what you mean by "any of your cars". I have worked on ONE car, the 1964 Porsche 904-8, and ran into an obstacle with the spotlights, which I have neither the skills nor the software to place on the bonnet of the car. It is the only component stopping the mod from being released (besides Butch's permission). I have suggested one other car, the 1967 Porsche 910, but the work required to fix that mod is beyond my current knowledge or skills. I have a business to run and a property to manage, so I can only learn as fast as time permits and resources allow. 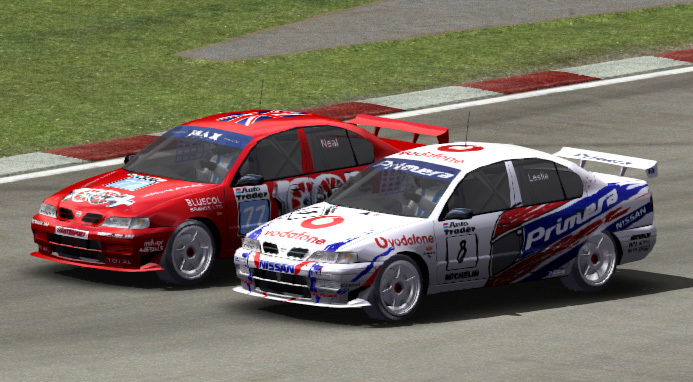 I am converting the 1998 Supertouring mod for my own use because I particularly enjoyed that era of touring car racing and because I don't have permission to release as a GTL mod, will have to ask Ron123 & Sidstalker, but need to make sure I have it working before doing so. I'm not sure what you mean by "any of your cars". I have worked on ONE car, the 1964 Porsche 904-8, and ran into an obstacle with the spotlights, which I have neither the skills nor the software to place on the bonnet of the car. It is the only component stopping the mod from being released (besides Butch's permission). Hello Mr. Uncomman. How are you Sir? I am going to take the liberty and speak for the handful of members who became stimulated and enticed by your motivation and interest in your [1964 Porsche 904/8] project. Yours truly included. I understand your dilemma and the obstacles you are facing with this project as I myself dabble in the outer limits of modding as a personal hobby. I believe, if I am not mistaken, Butch has already chimed in and taken notice to your [1964 Porsche 904/8] project in prior posts and quite possibly has given you the green flag and his blessings in your endeavours providing you acknowledge that he is the original author of the body of work that has been altered. And that individual would be me Sir. I always make sure I show gratitude for the efforts of others as I understand the sacrifice of time in one's personal commitment to a hobby as extensive as this one. (Sim-Racing to be precise). If you can find it within yourself to trust me with your body of work, I would be more than willing to aid and assist you in the challenges you are facing in order to finalize this chapter of your modding adventure. You may PM me with a suitable link to your [1964 Porsche 904/8 project] files and on your instructions, I will offer any assistance within my capabilities, to help you achieve your goals. Thank you very much for any attention given to this matter and a good day to you Sir. It is one of the default tyre configuration files used in GTR2. Thanks Glen, MUCH obliged! You have a message in your inbox! 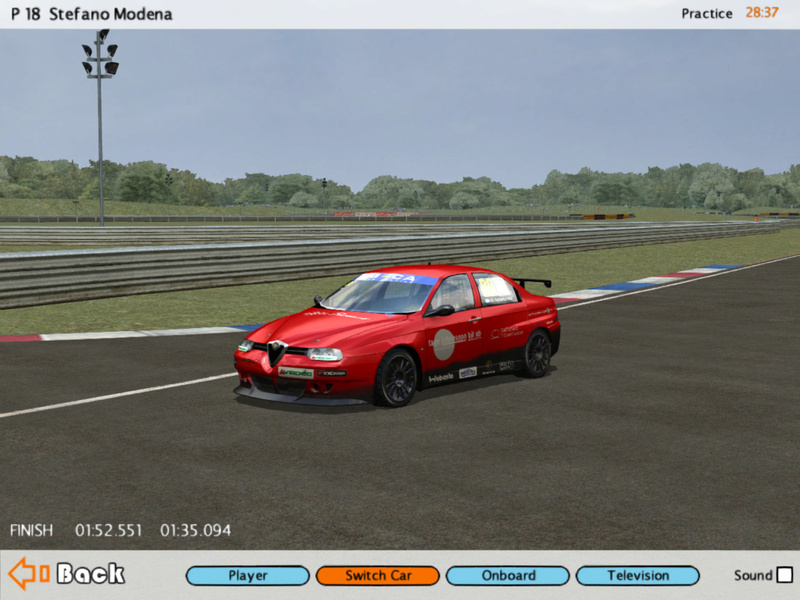 Already have the Supertouring mod up and running in it's present state, thanks to the addition of the Michelin, will post some pics and a short summary of what needs doing, most of which I can do. The skins all look great to me, so it's mostly about physics with some cosmetic enhancements. In the meantime I will try to find the original modders and get their permission, if this is a mod people want. 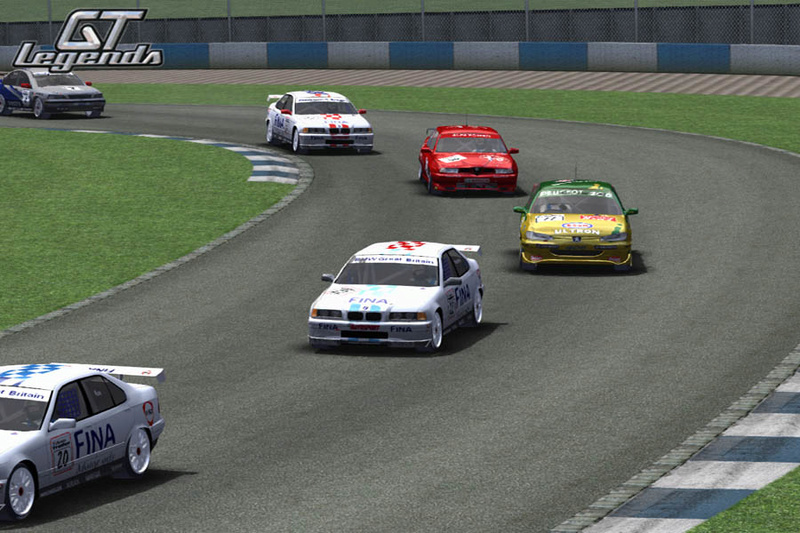 Here are screenshots at Donington of the Supertouring mod. You need Photoshop, Blender or a suitable paint programme with a DDS PlugIn to increase the body1 texture from 1024x1024 to 2048x2048 (high resolution). Oh if it's that simple I will do it, I have GIMP and Photoshop and the DDS plugin for both (I design websites and logos, so I use a lot of different software apps). I also have Geditor so I can export the body file and import it once I'm done. 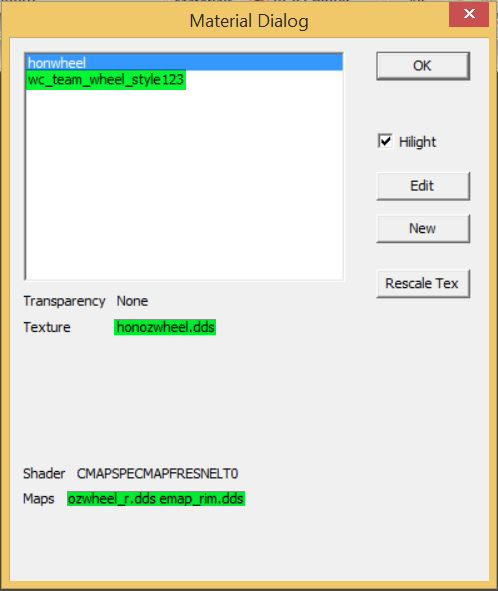 I can't find a reference to WC_TEAM_WHEEL_STYLE123 in the CAS file, so I have no idea how to fix this? Check your Honda_Accord_wheels.gtr and Honda_Accord_tex.gtr (it's where I found them). I had a look in the Honda_Accord_tex.gtl (the mod is now gtl) and the three files are all present. So why is there a problem? Not sure mate. Up the Honda Accord folder with the files to me and I shall take a look at the situation. Will do asap, on my phone at present. 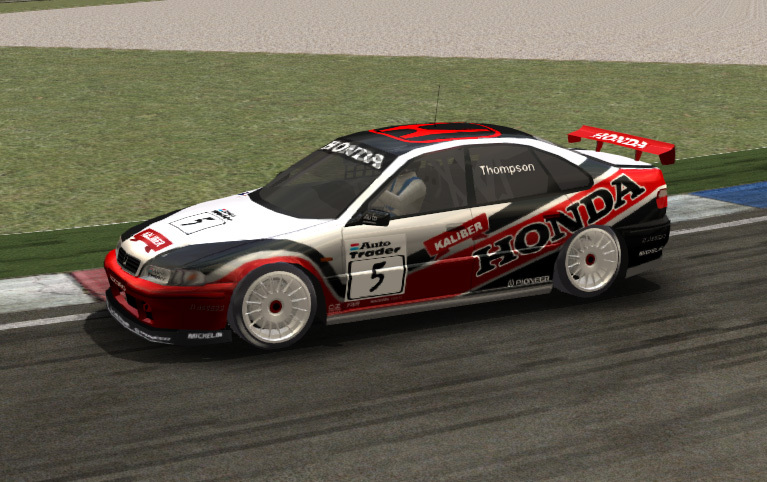 What is interesting is that I only get the CTD when I am trying to drive the Honda. 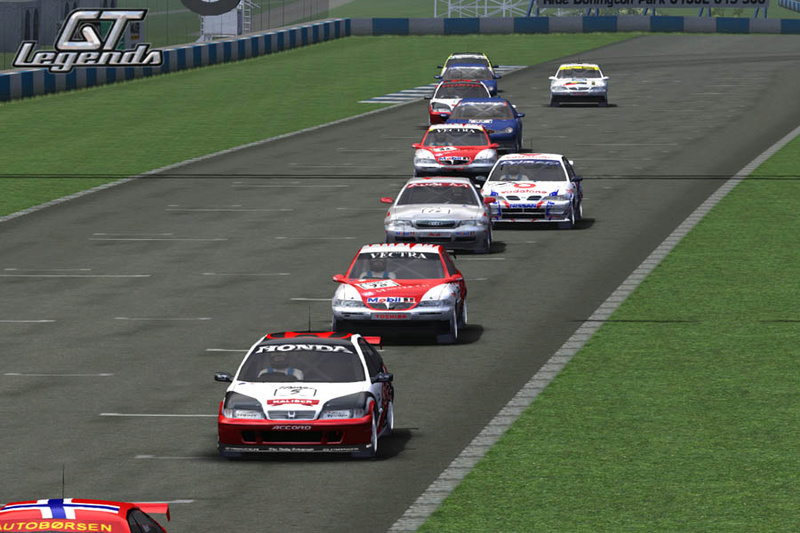 Its fine when I am driving another car and the same Honda is driven by the AI without a problem. Good luck on finding the cure and do not hesitate to reach out for aid. Thanks, just no point in sending you one car folder when they are all doing it. It must be something I've done in the conversion, but will let you know if I can't find it. Just very strange that its only when one drives any car that the CTD results.